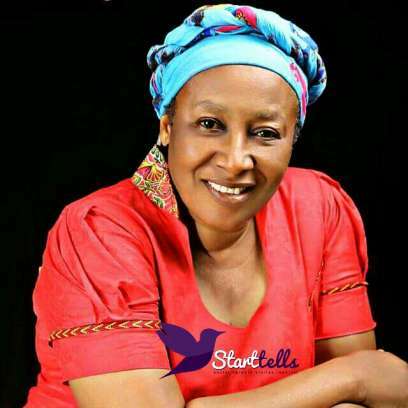 Popular Nollywood actress, Patience Ozokwor is now a "born again" christian. The veteran in a new interview with Star Tells dishes on her new religious life, how she met God, the retreats she holds and having to ditch wearing trousers, dreadlocks and jewellery. Famous for her ‘wicked mother-in-law’ roles, Ozokwor revealed she fasted for 30 days this year which led to a revelation. According to her, the Lord revealed she will be a voice for him all over the world. She said, "[Patience Ozokwor] normally organises a personal retreat for herself in the first few days of the new year, when it was time to have her 2016 retreat, she heard the voice of the Holy Spirit telling her to fast for 21 days, she complained that she have so many projects to handle, Endorsements and movies to shoot within that period, and the Lord extended it to a 30 days fast due to her complaints. During this fasting period, The Lord revealed to her, how she will be a voice for him all over the world, how people’s attention will be channeled from her image on Nollywood to The Gospel. She said one of the things God warned her on, was her dressing and appearance. She said that Putting on Makeup, wearing Jewelry and putting on Trouser as a Lady is wrong, she said that she has been preaching to colleagues in Nollywood, but God told her to put off her Dreads, to stop wearing Jewelries and Trousers, that she could have gone to Hell, if she died December 31, 2015 despite the preaching she’s been doing, just because of her appearance. She warned that it will be harder for colleagues in the movie industry, with permanent tattoos and eyebrows when they eventually encounter Christ. She also said that she should stop being referred to as Mama G, as that name was for when she was in the world."